Pay-what-you-can is by cash only. Please arrive 10 minutes prior to class to pay and get settled in. For whom: The student who is able to indulge in daily luxuries and/or understands the value of yoga. Frequent trips to the coffee shop, dining out, attendance at other studios, or name-brand yoga apparel are part of this student’s lifestyle. Please note, $17 is the flat rate amount when pre-registering or paying in person by credit card. 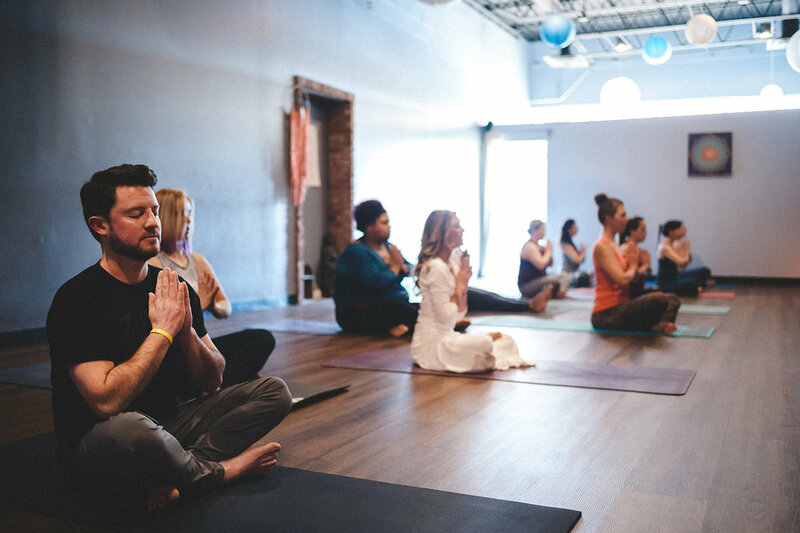 For whom: Affordable yoga is offered to the student who may live on a slightly restricted budget; maybe one who is between jobs or who is new to yoga and prioritizes their disposable income differently than a regularly-practicing yogi. If you cannot afford much, we just ask that you pay it forward; help spread the word about Breathing Space and practice random acts of kindness. Unfortunately we cannot afford to give out free classes. Please be sure to coordinate volunteer opportunities ahead of time. We will gladly start a tab for students who come to class but are waiting for pay day, have forgotten their wallet, didn't have time to stop by the ATM, etc. Classes will be added to your account at the $17 rate and invoiced on a monthly basis. Upgrade anytime. Minimum 4 months commitment, after minimum commitment has been reached, you may downgrade or terminate with at least 10 days' written notice before your next billing cycle. Classes expire upon contract termination. Membership pricing will be grandfathered in indefinitely, regardless of any studio pricing increase. For the semi-regular student who enjoys the ease of skipping the payment process upon arrival, this option allow you up to 5 visits per month. $14.40 per class. For the regular student who enjoys the ease of skipping the payment process upon arrival, this option allow you up to 8 visits per month. $11.90 per class. For the loyal yogi and Breathing Space supporter. Unlimited monthly attendance. As little as $3 per class. For the stillness seeker, enjoy unlimited attendance in our meditation classes. One single month of unlimited classes. No contract required. As little as $3.50 per class. Class packages expire 4 months from purchase and are non-refundable, non-transferrable. $15.50 per class. Class packages expire 6 months from purchase and are non-refundable but can be shared with up to 2 members of your household family. $14.00 per class. Three consecutive months of unlimited attendance during summer (May through August). Add a fourth consecutive month for $75. Offer for full-time middle school, high school or college students with valid ID. We accept cash, check, credit card and ACH. Pay-What-You-Can is by CASH ONLY. In order to keep classes affordable, we do not have excessive overhead costs built into the pricing of our classes. Please pay with cash when possible.